This coat is a masterpiece from our leather collection. This is an inspirational piece of work which has been replicated from the most loved video game “Watch Dogs”. 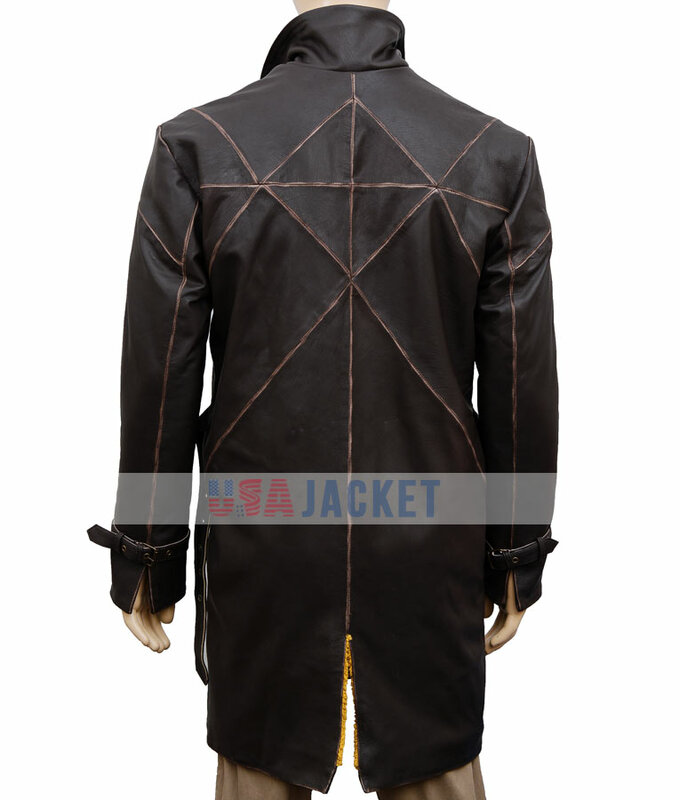 If you want to have extreme personality, the best choice for you is to have this Watch Dogs Coat. This coat is created from using Real Leather. Internal of the jacket includes the viscose lining to keep perfect comfort as body needs. The exterior material is soft and superb in pattern and the mix of brown shade adds more enchanted appeal to the overall designing. 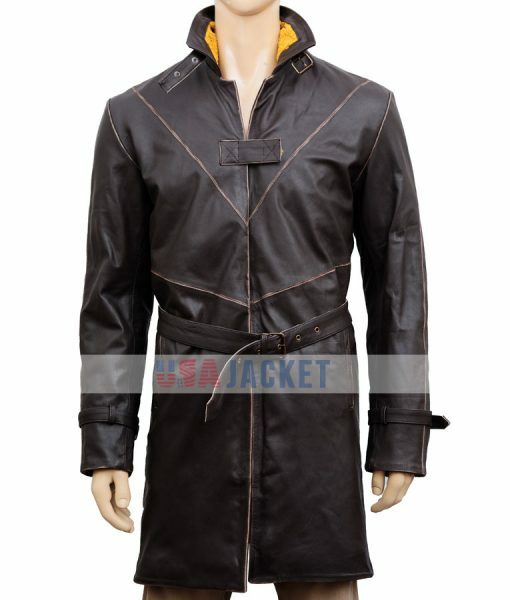 It covers stand up collar with belt and open front appeal. The long sleeves are designed in a unique style consists full length having belt for adjustment. It also contains two waist pockets along the two well and good space of inside pockets. Adjustable belt on waist is also present. This Aiden Pearce Coat is a sober outfit and you can get it to have a striking and spectacular look. I got this coat for my son and was EXTREMELY impressed. The leather is fantastic, the stitching and liner high quality, and it smells great 🙂 I’m tempted to get one for myself. The jacket well met my expectations. 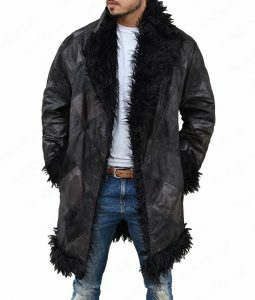 Desired to have something different with style and for the warmth, I ordered this jacket reading the specs that was what I wanted and the styling that I can easily see in images. When I put it on, it fits snug on me that is a great feeling. The crafting is of top grade and yes! It’s leather. I’m kind of guy with a small bit of knowledge about leather and I can easily smell it and say yeah it is the one I’m looking for. Early morning, many people use the smell of coffee to active their minds and this jacket is a part same, the smell warms the brain while jacket warms the body. I appreciate the making of this coat. My son wanted to but this jacket so I bought for him. He’s 6ft 200lbs. we ordered XL for him and it fits perfectly. However, the jacket took it’s time to come here but that’s fine when it’s free. For the price, I recommend this jacket to all. So for all the folks who are wondering to buy this jacket, I have bought one and I’m sharing my complete experience with the seller that will help you make your decision, I will say hit the button and buy this coat without wasting time. I’m breaking my review in segments to make it very easy for you to read and make decision. I must say that I have played Watch Dogs, the game featuring the character wearing this jacket. While, I won’t say that it’s an exact match jacket of the original one in the game, this jacket caught my attention because of the construction, the color and the way it’s featured. You can see the images are fine though. 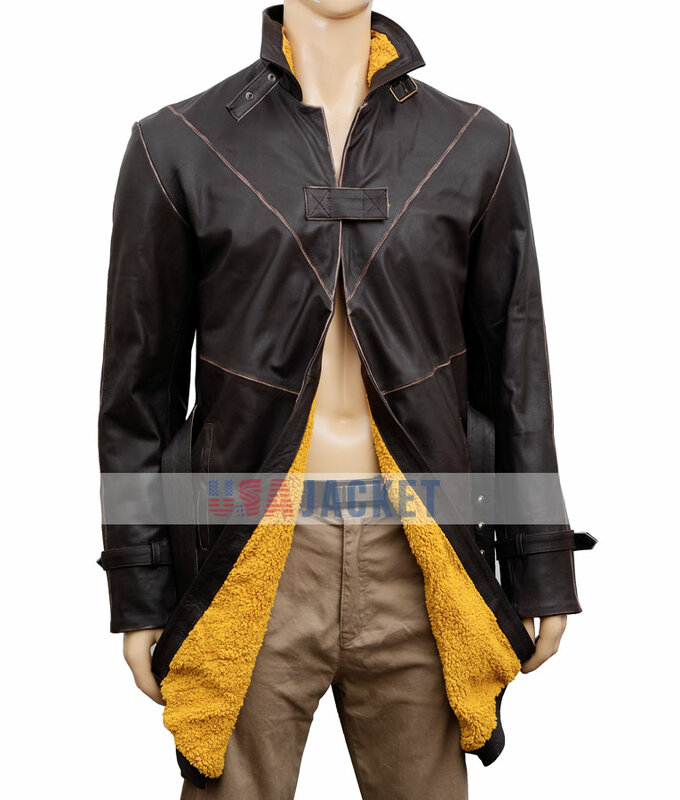 Also the positive feed backs for this Aiden Pearce jacket steered me to buy one. I’m not a cosplayers though but I liked the way it looks in the game and I desired to have something similar. I personally purchased this jacket to wear actually and the class of this jacket will look good with different clothes. 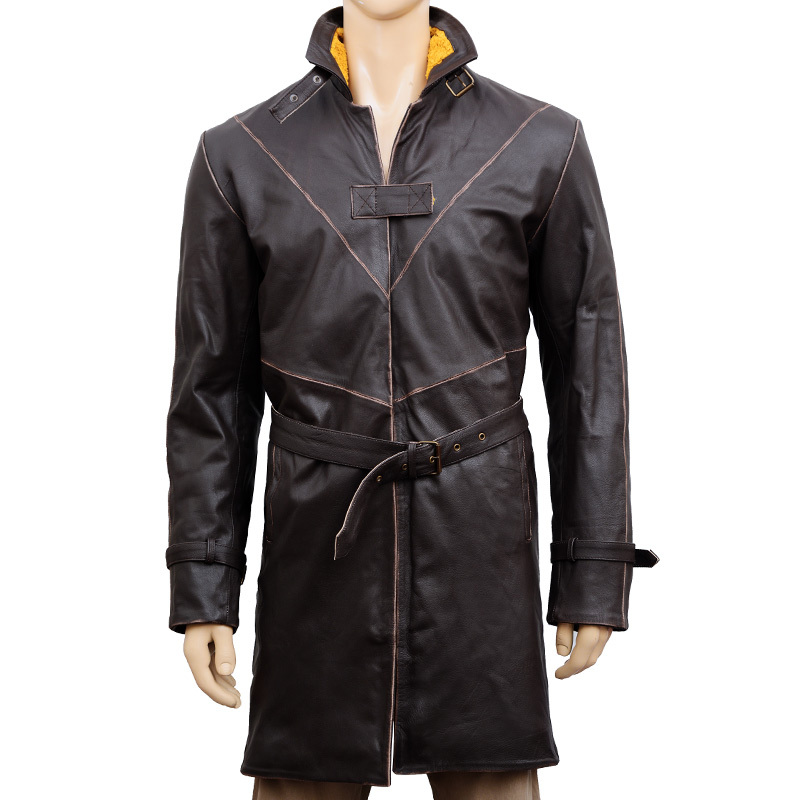 Mostly, I will say it’s a casual routine trench coat that you will love to wear in winters. The first thing that I loved about the seller is that I ordered this jacket and received it within a week. I placed my order on January 23rd 2017 and received it on 28th of the same month. Also the customer support team was always active on Facebook and via emails as well but I prefer to contact them on Facebook. They take few hours to reply on Emails but on Facebook you will feel like having a live chat. Next comes the sizing, I measured my chest to order my jacket according to USA Jacket’s sizing chart. I came up with my chest 39” after measuring it several times and even asking my friend for help. So, according to it, I should Order a Small size. Usually, I wear medium in t-shirts and jackets, so it was a tough decision to make that if I go for my usual sizing it will be a loose fit for me that I don’t like. Also im too small like 5’11” with athletic body for reference if you need. When I received my parcel carrying my jacket, I noticed the smell of leather that needs to be aired for two days that will take that off completely. I have experience of wearing leather jackets before so I was prepared for it and know how to handle the situation. Although, the smell was quite pungent at first. Although, the jacket fits perhaps a bit more snug than I usually wear but not too uncomfortable. I can still move my arms freely and no problem in breathing so definitely it’s not too small. Also, I’m a forum fuc*** and also I have a huge contact with folks who has great experience wearing leather jackets and also I had my experience too I have come to that it should be smaller than what you usually prefer to wear because leather stretches time to time and adjust according to the body of wearer. Even the support team on facebook mentioned that if it’s a snug fit then it will get easier to wear after a while. 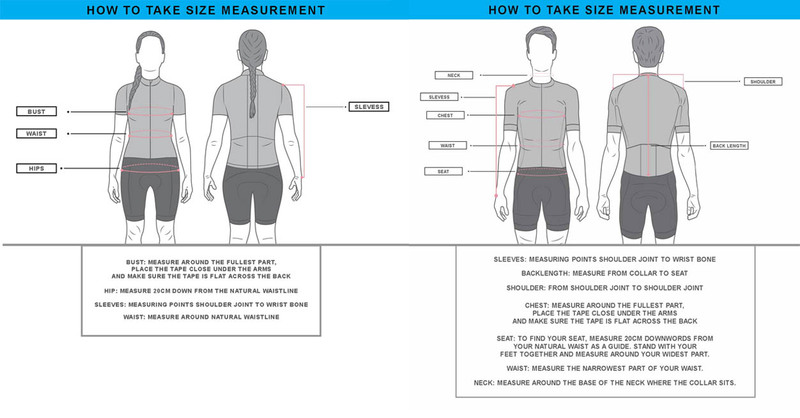 The sizing chart says that I should get small for the width of my chest. The jacket chest is 44” (just for reference) that gives me enough room to wear shirt or sweater inside. The problem I faced was the shoulders were tight for me. My shoulder measures 20” while for the jacket is 19”. So now my shoulders are fit too much but it’s lying on the right spot like it supposed to be along my collar and neck area. It’s about .5” on each shoulder but together it an inch small for me. It’s not too much but still sometimes I don’t feel comfy. I have another leather coat blazer style that is in medium and considering that sizing I preferred ordering small. Now I decided to return it for medium but that will cause a loose fit around my chest and will give a baggy look to me but what I prefer is that leather jacket should fit snug. I’m considering returning this jacket for a size medium and my reason for doing this is that I will wear a pullover or sweater underneath it. However, they are not too bulky, I measured my chest wearing it that only added .75” more but with the coat it will tight. But I still want this jacket in any size so I’m thinking to have it in small size no matter its tight or loose. Lets now discuss the material, design and color. 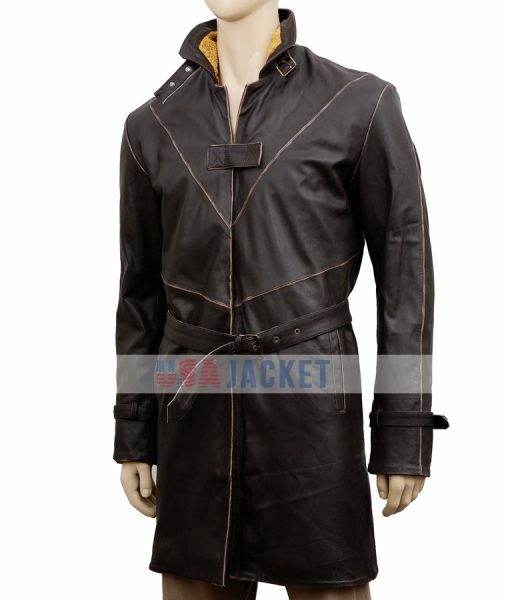 The leather is extremely high quality and for the price it’s quite impressive. The leather used for the belt does seem of lower quality but it should be the same as they used in the jacket. The linen of the coat is well as pictured. It’s like sewn a bit loosely. It feels good and is warm for freezing temperature. The distressed stitching on the back just drew my eyes even it’s not as same as in the video game but still worthy. One con I found is the Velcro on the chest. It’s doesn’t hold like it should be. It could be because of the jacket fitting on shoulders but I don’t think because it has enough room around the chest even after I fasten the Velcro. I would suggest replacing it with a snap tab soon but I don’t have accessories to do so I will take it for tailoring. Except of the jacket is very well constructed. The color of the jacket is a bit darker than the original one in the game but it’s not bad at all. I personally like wearing darker brown jacket. However, there is no contrasted leather working on this jacket, most of the seller has used lighter color on body and darker color on shoulders and sleeves. Also, the linen used in this jacket is much different and worthy than I have seen on other seller’s product. I have now set that I won’t be returning this coat for exchange. Though I haven’t removed the tags but still I will keep this size because of what my folks suggested me and I have my personal experience too. It’s not exactly as same as Watch Dogs Jacket but it’s the most exact and accurate that I have came through so far. Mostly jackets that I got were way too distressed or not distressed enough that in USA Jacket’s coat I found the right amount of both. I enjoy the overall design and it will definitely look good on its own or with varieties of other clothing. On the other hand, I’m keeping small. I might get help by handing it on broad-backed chair or I’m thinking a broad wooden hanger for it to stretch out the shoulders to fit on me. It might take time but it will do it perfectly though! And later I will change the Velcro with snap tab for sure. For me, this jacket is wonderful to have and im giving it 5 stars here. 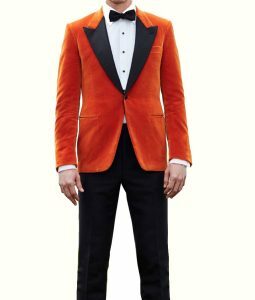 I hope my thoughts will help you making your final decision to order this jacket.